Today is a very special anniversary for me. Four years ago today I danced in the London 2012 Olympic Closing Ceremony. It’s a performance that will stay with me for life and when I’m 90 years old with my zimmer frame I’ll still be banging on about it. I’m a lucky girl – I got to rub shoulders with the stars and strut my stuff in front of a worldwide audience of around 24 million! But the most beautiful thing about the whole experience was that I gave up my time for free to do it, kick-starting my love for volunteering. Everyone knows that the London 2012 Olympic and Paralympic Games potentially changed the face of volunteering in the UK. 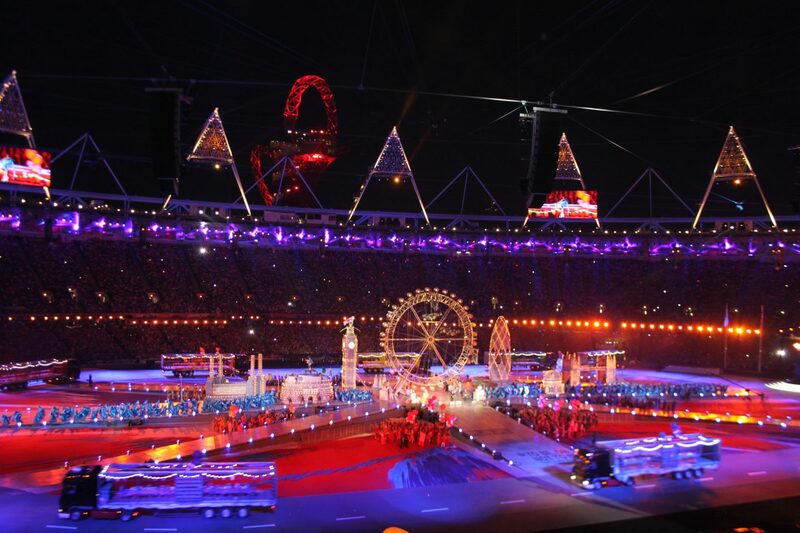 The 70,000 Games Makers became heroes around the nation giving up their time to make the event a huge success. Roughly 10,000 volunteers took part in the ceremonies too, but Olympic volunteering has been around for decades. I wrote my dissertation on this subject and found that volunteers have been keeping the Games going since the 1890s, although it was only an official element from the 1980 Winter Games. We’ve seen them again this week at Rio 2016. So why did London 2012 suddenly plunge volunteering into the limelight? The Games Makers perfectly showcased the amazing benefits that come with giving up your time for free. There were hundreds of good news stories that came from the volunteers at London 2012, leading to one heck of a legacy. London 2012 certainly pushed me into more voluntary work and the more I do the more I crave it! In the last four years I’ve been to two Rugby World Cups and the Anniversary Games, volunteered for charity and joined a drama group committee, to name a few. So here’s why volunteering is one of the best things you can do with your spare time, explained through my experiences at the Olympic Games and beyond! Volunteers are so damn friendly! No matter what event you go to you always end up chatting to someone and hearing their fascinating life story. One friend from 2012 is now performing in Rio’s ceremonies! The best thing I got out of the Closing Ceremony was my best friend Ricky. He was my dance partner during One Direction’s performance and he we are now, four years later still close as ever. The Games Makers really made the Olympic and Paralympic experience for a lot of ticket holders but volunteering doesn’t have to be on an Olympic scale! Many regular opportunities can help people on a day-to-day basis and still change lives. 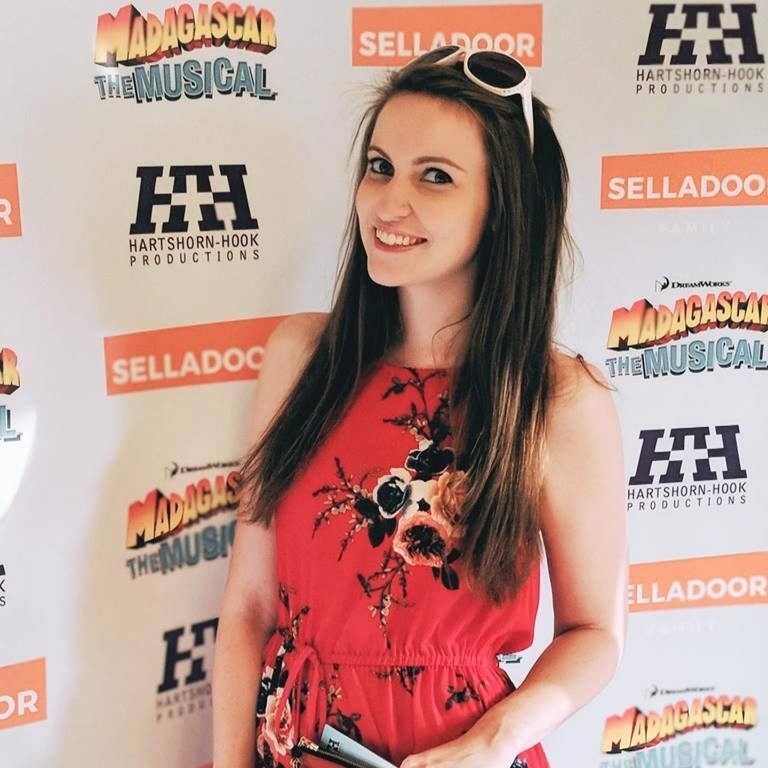 I suffer with anxiety and one of my regular volunteering duties is helping mental health charities as a media case study, meaning I talk to journalists about my experiences. I know speaking out about my condition helps to beat the stigma and convince others in my position that you’re not alone. I see interviews with large news organisations as a big achievement with mental health advocacy. Last year I spoke to BBC Newsbeat about anxiety attacks. I can’t emphasise enough how volunteering can boost your career, especially skills-based volunteering. As a PR & marketing professional a lot of my roles have been in media operations or social media. Having these experiences on your CV not only makes you look caring and committed but also shows you have a passion beyond your working life, making you a ’rounded individual’ – employees love those! In every job interview I’ve had since London 2012 someone has asked me about my volunteering – it’s a great talking point so make sure you sell it if it gets brought up. Volunteering organisation vInspired agrees! From dancing with Madness and One Direction in front of 80,000 people to running on the Olympic track a year later at the Anniversary Games as a Queen Elizabeth Olympic Park Champion. I’ve live tweeted matches for the official Rugby World Cup account and picked poppies at the Tower of London. I’ve been so lucky to do these fantastic things and it’s all thanks to volunteering. These are the experiences that money often can’t buy but it’s not all about the big events – they’re a bonus. Volunteering locally even once a week can give you just the same feeling by ticking off your good deed for the day and making someone smile. I have huge problems with large crowds and stadiums; it’s all part of the cleithrophobia that causes my anxiety. So signing up to a run of events in huge venues such as Wembley and the Olympic Stadium was obviously stressful for me, but having the distraction of a volunteer role really helped me to cope. The desire to be part of these incredible events far outweighed the fear of being there, so try applying for something that pushes the boundaries for you. Before London 2012 I was struggling with panic attacks at university. It got so bad that I had to get an extension on one of my assignments. I’m a geek – that had never happened before! Having rehearsals for the Closing Ceremony was a great distraction; when the big day came I was back to my normal self and third year was a panic attack-free zone. London 2012 means a lot to me as it got me out of a pretty dark place mentally but volunteering can help your physical health too. There are loads of volunteering opportunities at local sports clubs so if you want to get in shape while doing something worthwhile there’s your answer! I have a huge box under my bed of Olympic memories and photos all over the wall. It will never leave me, purely because of one moment in 2005. The day we heard that we won the bid for the Games I ran home and told my mum that I would dance in one of the ceremonies in London 2012. My dream came true and that taught me a valuable life lesson – I can do anything if I put my mind to it! It’s not easy balancing work, a social life and regular volunteering commitments. I struggle fitting them all in and constantly wish I could do more, but if you have the time then it’s the best thing to do. The benefits are wonderful and there’s hundreds of opportunities just waiting for you. This sounds like a wicked experience! I’m a Londoner, too, and the Olympics was great for London – and the Stratford area. It’s changed so much.